ANL fuses are designed for high current DC applications like power inverters and amplifiers. 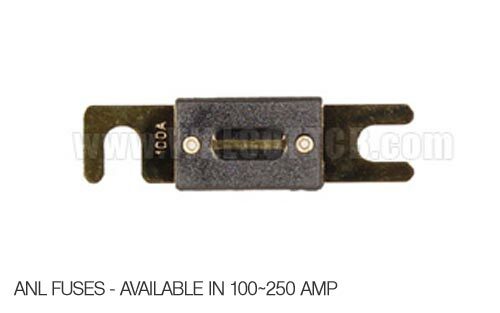 These fuses are available in sizes ranging from 100 to 250 amps. To determine the size of the fuse you need to use, please refer to your products manual. 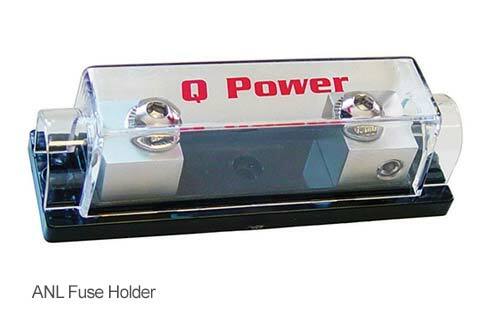 For most inverters over 1k watts, the typical recommended size is 250 amp. Fuse sizes for amplifiers will vary.